Our vocation, to teach as Jesus did, is our foundation as a faith community. We are committed to each individual’s spiritual, academic, and personal growth and achievement. Our parish plays a vital role in supporting the ministry of the school and parents. We interact as a faith community, giving witness to Christ’s message. 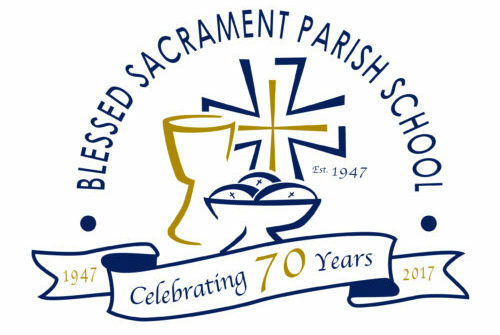 We affirm the love and sacrifices of the parish, parents, and staff that makes Catholic education at BSPS a reality. Blessed Sacrament Parish School graduates are prepared to become caring, confident Christian leaders. Keep in touch – join the BSPS Alumni Facebook group!